The Kitsune, magical fox spirits who inhabit a separate dimension known as the Kitsune Realm, have always lead peacful lives. 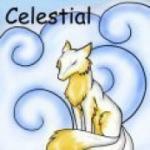 That is, until their God, Inari, made the mistake of accusing a Kitsune known as Kyubi for doing a terrible crime. Kyubi, enraged by the accusation, used her powers to possess Inari and drive the God's spirit out, sealing it in a mortal girl's body. Now, many years later, and young Kitsune by the name of Ryu is being asked to go retrieve the mortal girl and release Inari's spirit. But doing this is going to take a lot of effort. It's a big task and a really big adventure. It's a really great comic, currently ranked 95 on TWC. Also it's forums are full of great people so come and check it out. I know this is old, But yes KJ is my fav fav comic. I also agree! Very good one and so often updates!